Who doesn’t love a good highlight these days? It gives your skin a beautiful glow, and can be used to enhance features, and honestly, it can turn a look from bam to BAM, if ya know what I mean. Nowadays, I live for a good glow. I absolutely love natural, rosy, and gold highlights, but I’m not one to shy away from bright and fun colors either. Even if it’s just a little bit on my nose, (might just be my signature lewk), I don’t think I ever skip highlighter when I do my makeup these days. Nothing beats having that “skin glowing from within” look and nothing beats a good, affordable, highlighter to give that said look either. 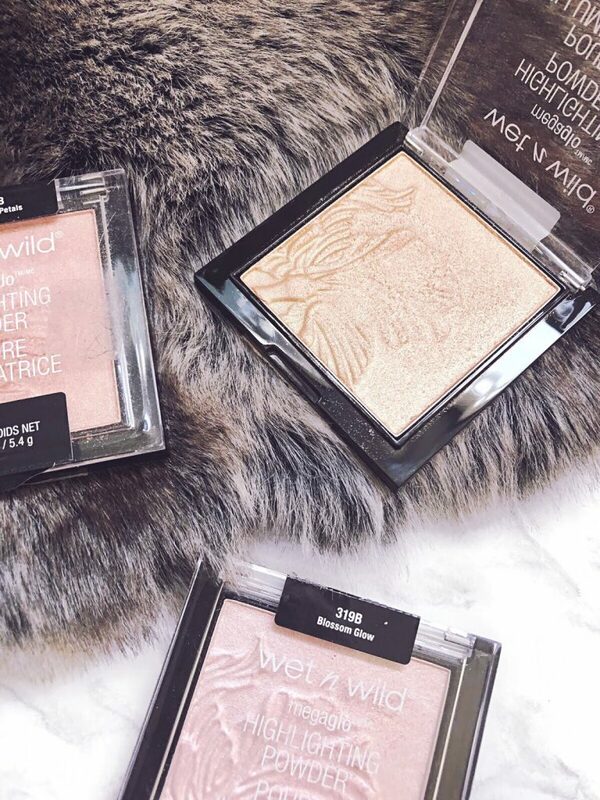 That being said, here are the 3 best drugstore highlighters to prove that you don’t need to spend a lot of dough to get that bomb glow! 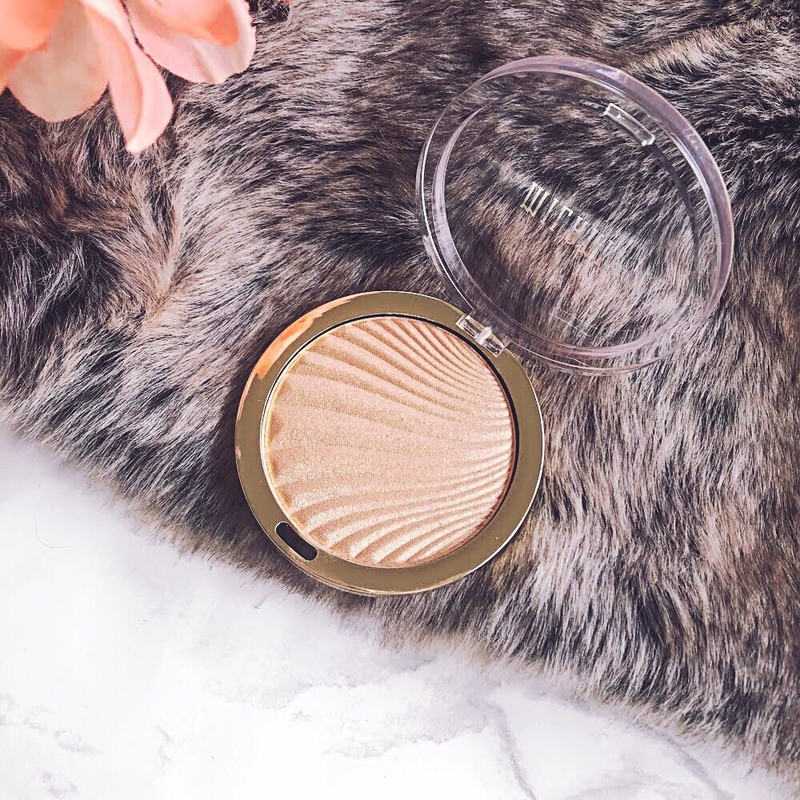 Literally my #1 all time favorite drugstore highlighter. 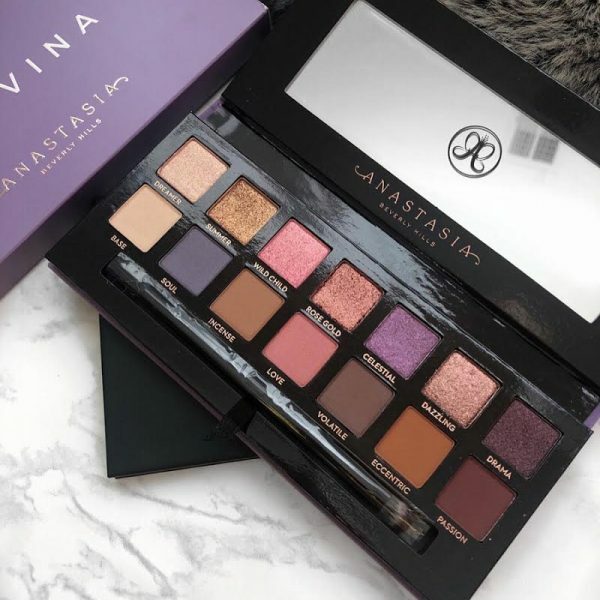 The shades are undoubtedly gorgeous, they’re crazy pigmented, the size is incredible, and also they’re hella affordable. Honestly, I’d never except such high quality from such an affordable brand, but Wet n Wild does it again with these guys! Application is so easy with these, it goes on not too light and not too heavy, and it’s so easy to build it up to your liking. 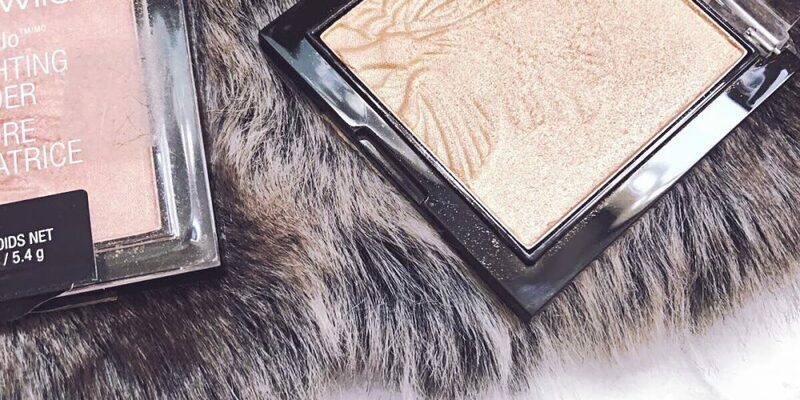 The Mega Glo Highlighting Powders might actually be the best drugstore highlighters ever. I love them so much that I even included them in my Holy Grail Products post. They have a ton of shades to choose from but my personal favorite is Precious Petals. It’s a gorgeous rosy shade that gives my skin that perfect natural glowy/wet look. Oh bb these are so freakin bright. They’re my go-to when I really want that poppin highlight. The size of these is also great, (like seriously the drugstore comes through when it comes to the size of their highlighters). With the Maybelline Master Chrome Metallic Highlighters you don’t need much, a little definitely goes a long way. My personal favorite shade: Molten Gold. It’s bright af, yet still very natural looking. I love these for a lighter, more natural highlight. The colors are gorgeous and I’m obsessed with the gold packaging! They’re just so aesthetically pleasing. (Insert heart eyes emoji here). I love that these are light and natural, but you still have the ability to build them up to give your skin a brighter glow. My personal favorite is the shade Dayglow. It’s a beautiful, light gold color that enhances features perfectly. 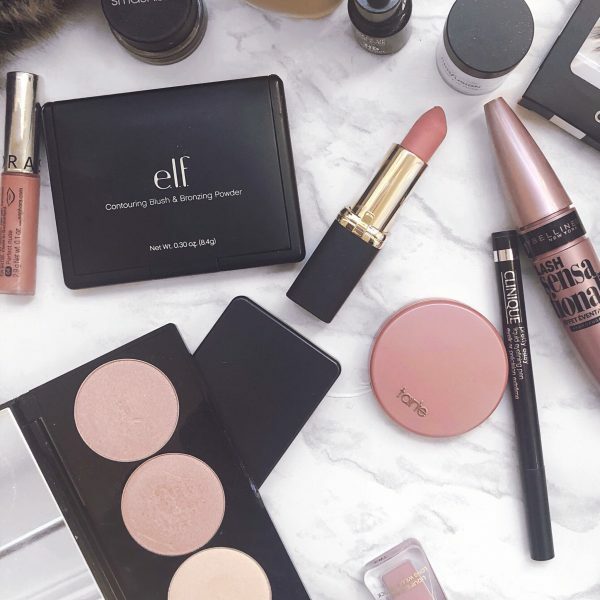 I’m always on the hunt for great, affordable products! 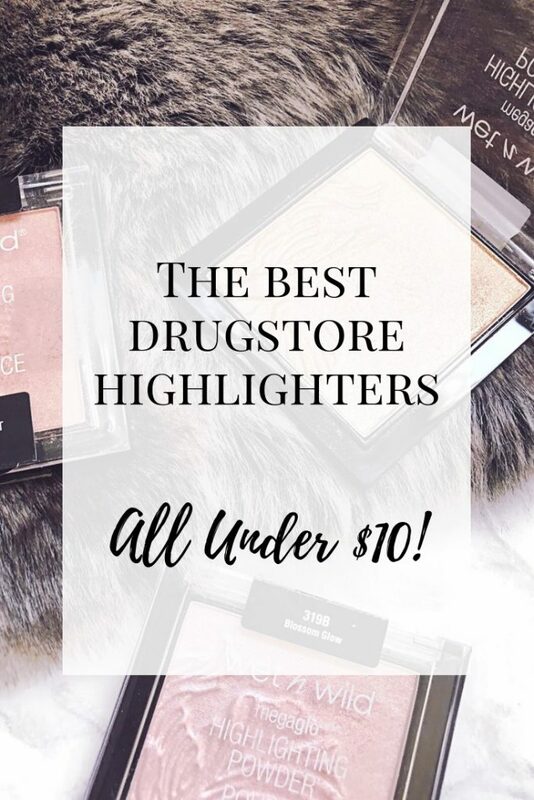 What are your go-to drugstore highlighters? Right?! Sometimes drugstore is the way to go! Wet n wild has recently come to the UK and I’m so excited to try the highlighter out! Yes! I'm not even kidding it's the best highlighter I've used, even better than some high end ones! Wet n Wild is my favorite drugstore brand, I've been using their products since like 9th grade! You have to try the highlighters, they're the best! I have the mega glo and the milani one! I need to get my hands on the master chrome! Love this post xo! Ooh the Master Chrome is absolutely gorgeous and it's crazy pigmented, you have to try it!